It is highly desired to simplify the technology of electroless plating on inert polymer. Herein we developed a new kind of catalytic solution (mixture of H2O, AgNO3 and 3-aminopropyltriethoxysilane), which can write onto inert polymer directly with good stability, resolution and catalytic performance. Then, a facile method combined with catalyst solution printing and electroless plating to fabricate selective metal (copper and nickel) coating on polymer (polypropylene and polyethylene terephthalate) surface. The growth behavior, electrical, and structural properties of plated coating were investigated. The minimum width of copper coating is 250 μm, thickness is 2.2 μm, resistivity is 2.6 × 10−6 Ω cm, adhesion of 2.2 μm thick coating maintain 5B. In addition, the selective metal coating have excellent bending and fatigue resistance. 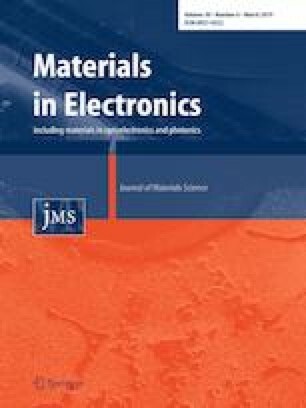 The authors thank the financial supports by the Research Foundation of Hefei University (No: 17ZR03ZDA), the State Key Laboratory of Rare Earth Permanent Magnetic Materials (No: SKLREPM17OF05) and the Opening project of Guangxi Key Laboratory of Calcium Carbonate Resources Comprehensive Utilization (HZXYKFKT201805).